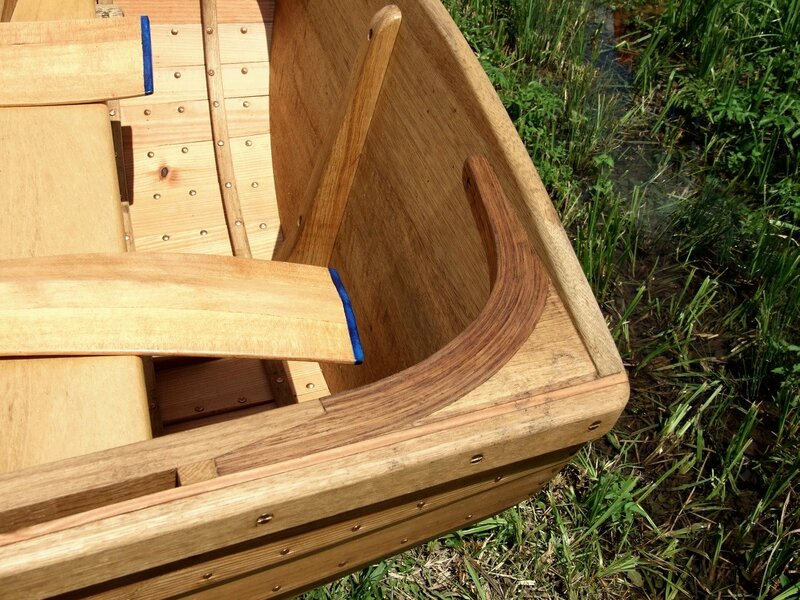 Francis Rayns’ handsome 10ft pram dinghy built to plans by John Gardner. 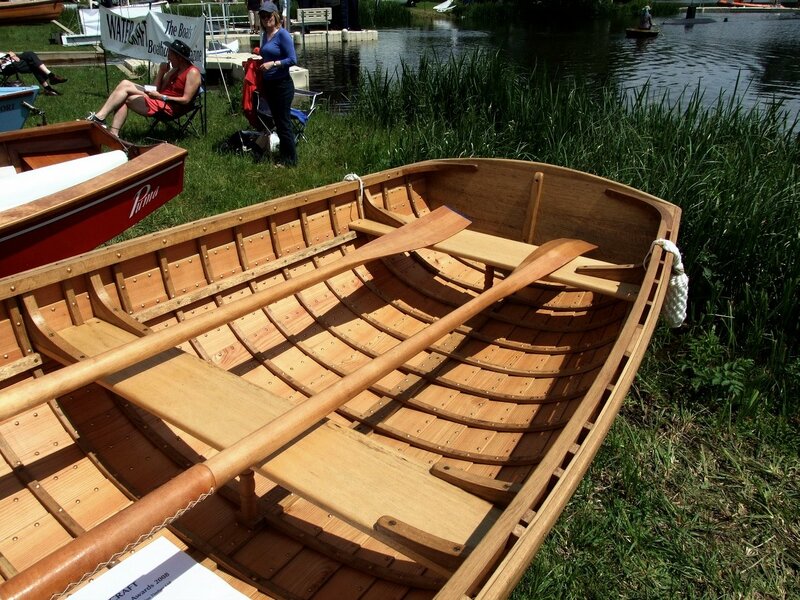 It says a lot for the standards of the Watercraft magazine Amateur Boatbuilding Awards that this very nicely made little boat only came second this year. 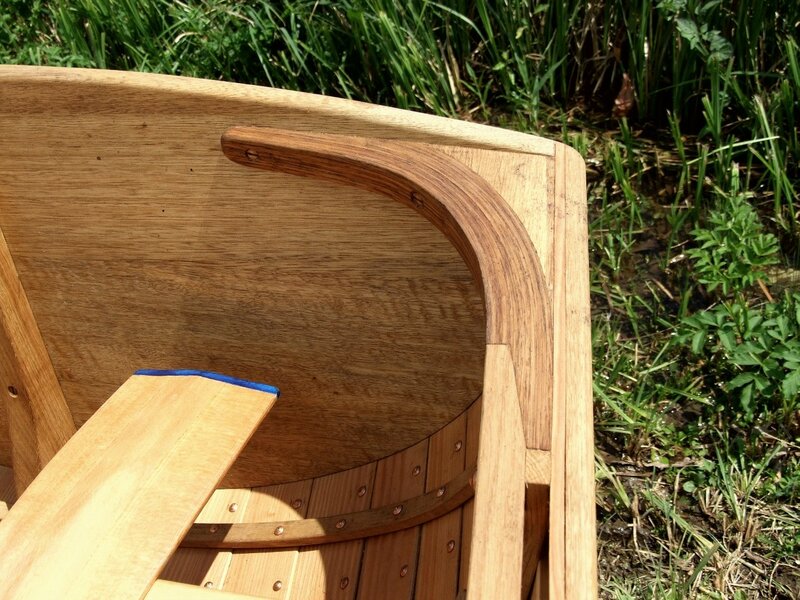 True, one might complain that the material of the clinker strakes is perhaps a little slender, and tradititionalists might suggest that the knees could have been grown rather than laminated – but these seem to be small issues when set alongside the near-flawlessness of the work. 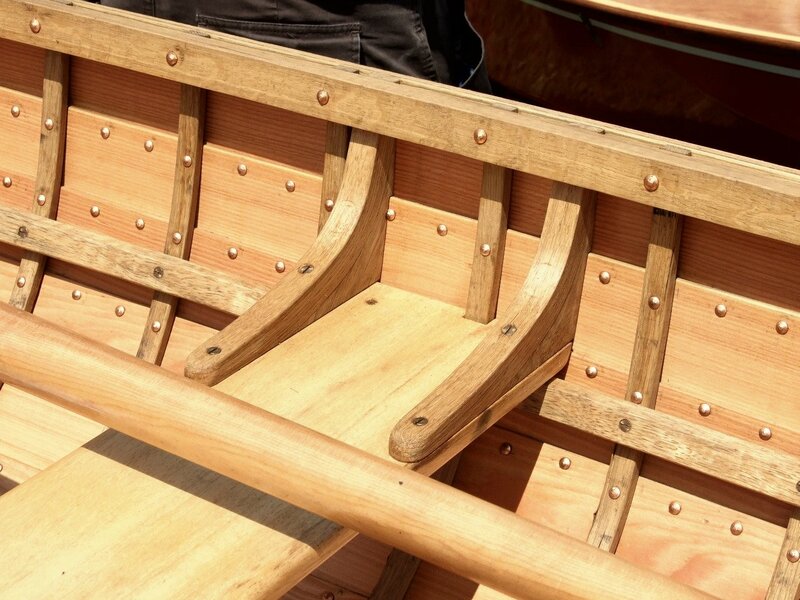 What’s also notable about this particular boat is that builder Francis Rayns reports that the materials cost came out at just £250 – I think that’s an appealingly low figure for such a handsome 10ft boat. 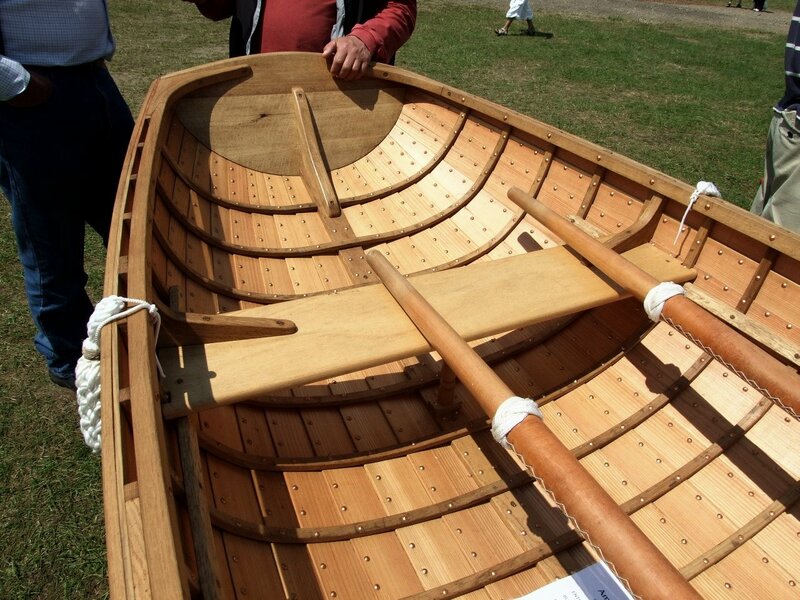 She’s built in larch on oak with copper fastenings, by the way, and Francis built her to plans drawn after Nathaniel Herreshoff by John Gardner and published in his book Building Classic Small Craft. 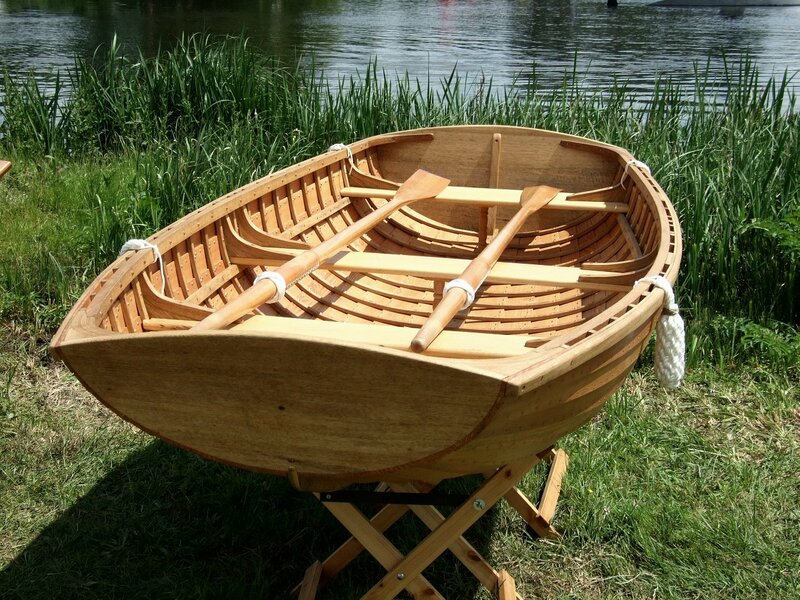 If you haven’t got Building Classic Small Craft, I strongly recommend it – in addition to this little classic, the book contains plans for 46 other boats for a price less than £13, and a long section on boatbuilding techniques. You can’t buy much for that little money these days, but this book is a real bargain. 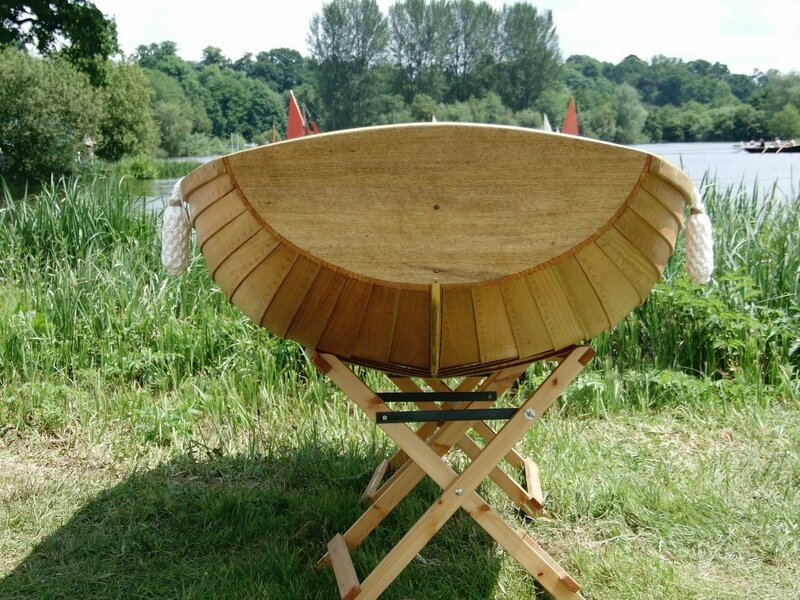 Glad to see this little gem being given the credit that I think it deserves, I was interested in Francis' move to traditional construction – you may remember his name from Beale 2006 where he won with a delightful Epoxy Ply Oughtred Badger Skiff. Certainly cost implications may nudge more of us in this direction, as you point out, a very reasonable outlay for a most satisfactory outcome. And the plans are as cheap as chips too! Definitely a route to consider. Looking at my copy for the first time in a few years, there are some killer sets of plans – including a set of drawings for building a Cornish pilot gig and various classic American boat types.